Considering Bonaire vacation? This tiny island, also know as a Diver's Paradise is ready to offer you much more than a typical Caribbean vacation. Exclusive dive sites with the most amazing underwater scenery, top water activities, great attractions and historical landmarks, cozy resorts that will make your stay extra special, the finest shopping and dining experience - all that and much more will make your trip to Bonaire extraordinary and memorable. The picture-perfect weather all year round, the famous pink flamingoes and the most beautiful with soft and blindingly white sand beaches make Bonaire a desirable travel destination Read below our Bonaire travel guide! Why go on Bonaire vacation? From the deepest, most pristine and clear waters on earth to the heights of the tall peaks, once you step your foot on Bonaire you will feel magic wash over right from the moment you arrive. This Caribbean piece of the Netherlands has its own unhurried pace of life, and that's what makes Bonaire a true traveller's paradise. Along with many thrilling activities such as snorkeling, kayaking, and kite surfing, Bonaire continues to stand as one of the desirable destinations worldwide for its successful tourism industry and incredible diving opportunities that open up an underwater world of fantasy. 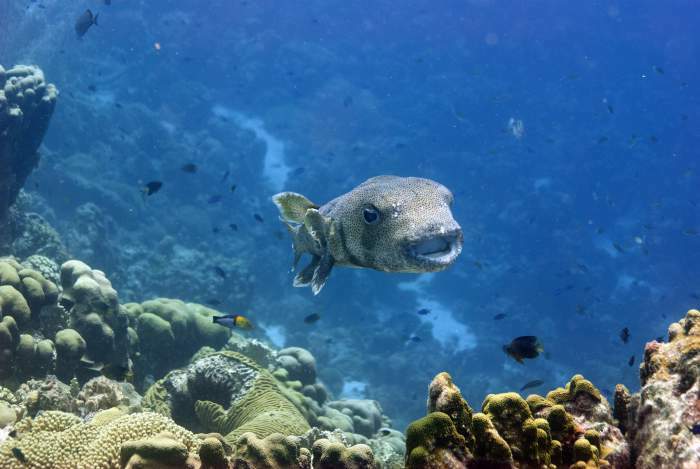 Divers all over the world rush on Bonaire vacation to explore 370 species of fish and 55 types of coral that are mysteriously hidden underwater. Aside from the numerous water activities, there is as much to do on land. Picturesque mountain bike trails with clearly marked routes will take cyclist by beaches, slave huts, mangrove forests, old villages and many more historical landmarks. The Bonaire Butterfly Garden will open up a world of beautiful species of colourful butterflies. 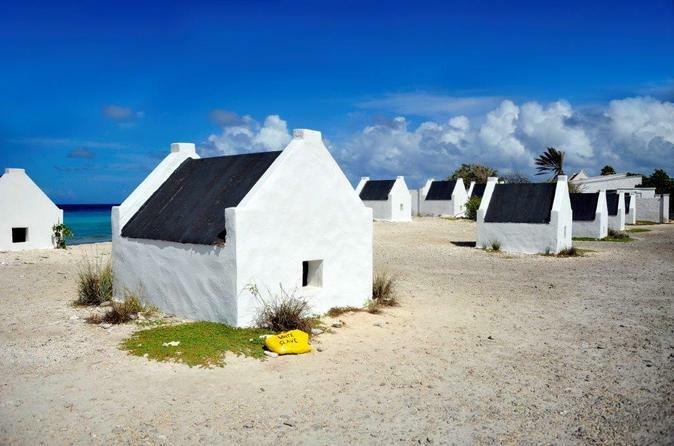 Get up close and personal with the history of the island by visiting the Fort Oranje, contemplate on the island's spectacular nature in Washington-Slagbaai National Park, learn a thing or two about how the liquors are made at The Cadushy Distillery, take horseback riding lessons in the most beautiful setting in Rancho Washikemba, feed the prettiest and the most graceful birds at the Pekelmeer Flamingo Sanctuary or simply enjoy the breathtaking panoramic views of varies landscapes in Seru Largu. Do not think twice about going on Bonaire vacation, the world of charm and glamour is quietly awaiting. 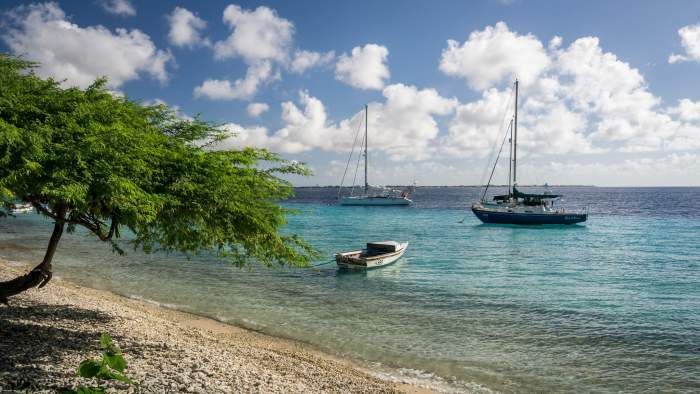 Bonaire is a year-round tropical destination largely due to windsurf and dive tourism. The weather stays very pleasant no matter what time of the year you choose to travel. If you are coming to the island for some extensive diving, the best time to visit is when the island is not prone to rainfall. The rainfall season lasts from December to April. Those travellers that would like to avoid the large crowds and the resort prices being at their peak points, are advised to go on Bonaire vacation anytime from May to October. The weather is still beautiful, hot but enjoyable, the trade winds make their way to make the days less humid and the hotel prices are at the lowest prices. During the island's off season you won't run into too many tourists as in the winter months, there will not be long line ups or need for constant reservations to secure a good spot in restaurants and other entertainment. 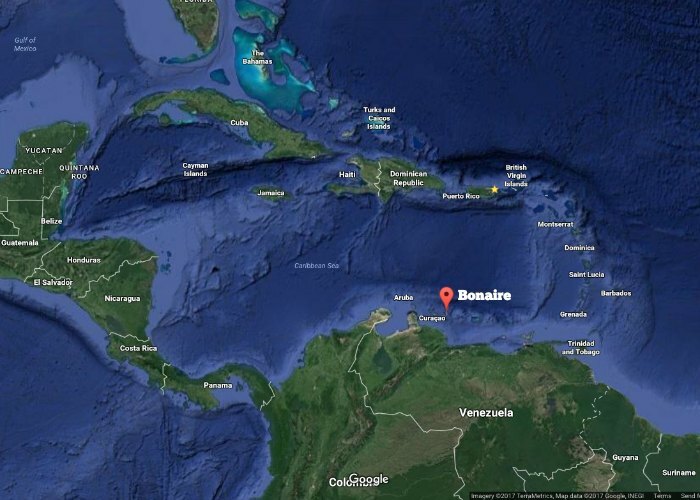 Where is Bonaire on the map? Bonaire, an island with unsurpassed natural beauty is located 777 km (483 miles) west of St. Vincent and the Grenadines, 668 km (415 miles) north of the coast of Venezuela and 48 km (30 miles) east of Curacao. Its landscape is flat and rocky and the almost perfect climate makes Bonaire vacation popular among divers and nature lovers. Part of the Dutch Caribbean ABC islands, with the two other being Aruba and Curacao, Bonaire is the least "touristy" and hence more "natural" of the three. Kralendijk is Bonaire's small but vibrant capital city, with a population of approximately 4,000 residents. This cozy city blooms with nature, life and the atmosphere you would want to dive in. December through April is a cruise ship season and boats dock their ships once or twice per week at the North or South Pier. J.A. Abraham Boulevard turns into Kaya Grandi, where all the fun and excitement happens. Here, in the downtown capital, you will be able to locate the finest shops, top dining establishments and many things to do on your Bonaire vacation. Year round you may stroll through the streets of Kralendijk enjoying the colourful scenery and the well preserved architecture of Bonaire. Be awed at the creations of Bonaire's unique jewellery stores, try the delicious sweets at the local ice cream parlour or choose perfumes for a gift to bring back home. The uninhabited island of Klein Bonaire lies just off the coast of Bonaire's capital and is noted for the best snorkeling and diving opportunities. It can be reached by water taxi or by one of the local dive operators. The two worthwhile museums that tourists must check out are the Bonaire Museum (Museo di Bonaire) and BonaireArt (Kas di Arte). Both museums located in Kralendijk offer a great outlook on Bonaire's culture, traditions, history and famous local artists. While visiting Kralendijk during your Bonaire vacation, enjoy an array of outdoor adventures, tours and excursions. And if you are a diver, then you will be thrilled to discover Bonaire's eight-six most amazing dive sites that are easily accessible from Kralendijk. The Karpata dive site and the Alice in Wonderland dive site are two of the most beautiful diving sites with the most stunning panoramic views making it excellent for underwater photography. According to the latest statistics, Bonaire's population in 2016 was approximately 19,000 residents, that mainly consisted of residents of African descent, Caribbean Indians and a smaller percentage of Dutch Europeans and Asians. The residents of Bonaire are some of the friendliest, helpful and easy going people you will ever meet. The culture and traditions of Bonaire is reflected on the faces of the island's citizens making it an integral part of their lives. Religion is a very essential aspect of life of every resident of Bonaire. The predominant religion is Christian with religious groups including Baptists, Catholics, Protestants, but there is also an Islamic Mosque. The official language of Bonaire is Dutch; however, the everyday speech is more often done in Papiamento, a Caribbean creole spoken in the Leeward Islands in the Dutch Caribbean. Papiamento is a native language used exclusively in Aruba, Bonaire and Curacao and is a blend of Spanish, Portuguese, English, Dutch, Caribbean Indian and even some African languages. It is considered as the primary language of the islanders and is proudly spoken by 74.4% of Bonaire's population. English and Spanish languages are also widely spoken on the island; however, English is the primary language of only 2.8% of the population. Still you won't have any problem communicating during your Bonaire vacation. Bonaire is easily accessible from Europe, Latin America, North America and the Caribbean. You may reach Bonaire either by air or by cruise. Several United States airline carriers offer nonstop flights to Bonaire. Depending on your preference and location, there are flights scheduled to leave Houston, Atlanta and Newark that will get you directly to Bonaire without any stops. Delta airline provides connecting flights from Houston with a layover in Atlanta. There are also regular connecting flights from New York, Charlotte and Miami with a transit stop in Atlanta or Curacao. If you are boarding an inter-island plane in Curacao you will be contemplating the breathtaking views of Bonaire in just 15-30 minutes. There are no nonstop flights from Toronto. 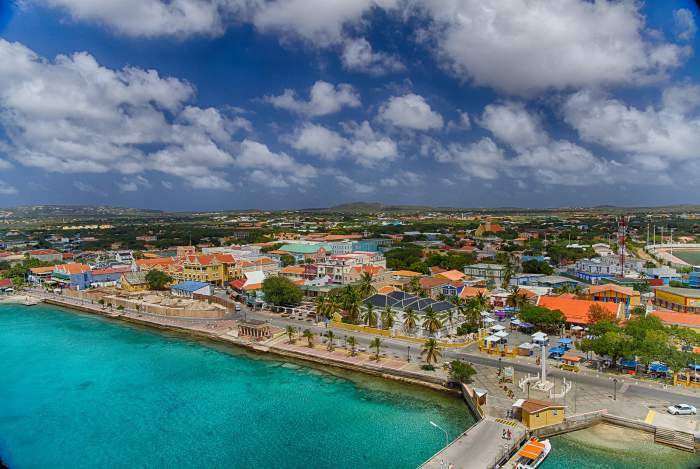 Canadian travellers going on Bonaire vacation must pick up a connecting flight in one of the US cities or Curacao. A number of South American airline companies offer flights to Aruba and Curacao, where travellers can pick up connections to Bonaire via local carriers. A connection from Mexico is also available via Houston. Europe travellers will be flying from Amsterdam on Dutch airlines. No ferry service is available between Aruba, Bonaire and Curacao; however, quick inter-island airline service is offered for your convenience! Flamingo International Airport that is located in Kralendijk, Bonaire, is able to handle wide-body aircraft and services both international and domestic flights. You will find an abundance of different lodging opportunities when you visit Bonaire. Alongside of places that offer the basics and will not break your будгет, there are a few mid-size resorts with full service, amenities and exciting on/off site activities for their guests. If you stay in one of these cozy inns and/or small resorts on your Bonaire vacation, keep in mind you will be responsible for finding food and entertainment. But the advantage of this choice is that it's appealing to the budget travellers. Depending on the resort of your choice, a complimentary morning snack or breakfast might be included in your package. Inquire about such at the time of booking. There are a few larger and family-friendly resorts in Bonaire that are located on the most beautiful beaches with amazing panoramic views. Most of them are scattered along Kralendijk and offer some dining and leisure time options to be added to your package at an extra cost. The only all-inclusive resort in Bonaire - Plaza Resort - offers packages so you can enjoy your meals, snacks, drinks, entertainment and amenities without any limits. Those visitors seeking a more secluded accommodation may also rent out private apartments, Bonaire vacation homes and villas, both inland and oceanfront. These are generally hard to track down and need to be booked far in advance, but once you secure your spot, you are sure to have an amazing vacation in privacy in your seaside tropical home. These types of accommodations each have their own rules and depending on the owner the payment is normally accepted in cash. The island of Bonaire is blessed with one of the most gentle climates in the Caribbean with very little rainfall. The high-season for Bonaire vacation begins in mid-December and lasts through mid-April. It enjoys temperatures from 29-31 degrees Celsius (84-88 degrees Fahrenheit). When the trade winds continuously blow from one direction, one side of the island has "rough" water conditions while the other side (the leeside) stays calm which is perfect for snorkeling and exploring the coral reefs, that are considered the most prolific in the world. The low rainfall is also a blessing for Bonaire's coral reefs, since fresh water from rivers (there are no rivers on the island) and rain runoff contain sediments that can be harmful to the coral reefs. The off season that begins its course in mid-April to mid-December has warm temperatures of 29-32 degrees Celsius (85-89 degrees Fahrenheit). The humidity remains quite constant throughout the year and although the warm sunrays can be appealing, do not forget the fact that the sun is still powerful. Wear lots of sunscreen, a hat and always drink plenty of liquids to keep yourself hydrated. The period from October to January has the most precipitation but the frequency of thunder is significantly lower throughout all the seasons. The trade breezy winds blow the strongest in February, March and June and the lightest winds visit the island in November. There is no public bus transportation system in Bonaire. In fact, aside from the offered guided tours, taxis are the only efficient way to get around the island. Numerous companies also offer sightseeing tours that are informative, interesting and are a great way of exploring the island dudring your Bonaire vacation. Taxis are a great way to explore Bonaire, but can get quite costly if taken frequently. However, if you are interested a taxi driver will be more than happy to provide tour guide services at an hourly rate. The taxi fees are government controlled, and if money is a major issue and you are planning on travelling throughout the island extensively, consider renting a vehicle. Although the taxi rates are preset, agree on the final price before boarding the cab. Water taxis are also at your service with multiple providers that operate in various locations. Check their availability and their departure times as they all vary. Renting a car will help you get the most out of your Bonaire vacation. Driving is on the right-hand side, and although the local traffic can be heavy at certain times of the day, there are only a few traffic lights. The minimum and the maximum age limit to rent a car in Bonaire is 21 and 70 years old, but some companies will increase the age limit to 25. A credit card and a valid driver's licence from your home country is all you need to rent out a car. Tourists will find an abundance of car rental agencies that offer the latest models of cars that come in great shape and immaculate condition. Almost all of the vehicles come with a standard shift, but if an automatic is required please reserve your spot early as it might not be available at the time of your arrival. Motorcycles, bicycles and scooters are also available to rent. The same rules that apply to renting out a vehicle apply here as well. A number of luxury motorcycles are lined up awaiting for their new riders. A variety of different bikes is also offered to the most adventurous who love exploring the surrounding nature by one of the alternative vehicles. Drivers on Bonaire vacation are urged to obey the international road signs and keep in mind that cars, pedestrians, cyclists and sometimes even animals such as goats and donkeys share the road. So paying close attention to what's going on around you is a must to avoid accidents. The speed limit in Bonaire is 60 km/h (37 miles/h) outside urban areas and 40 km/h (25 miles/h) inside urban areas. It is easy to find parking in Bonaire. Watch out for parking signs and restrictions around all public buildings. If you are not sure whether to park at the specific spot, look out for other parked vehicles and park your car accordingly. Paid parking is also available in the capital and larger towns, and the fees are affordable. When travelling at night in Bonaire, be extra cautious of sleeping animals on the road, donkeys coming out of bushes or even people that end up on the wrong side of the road. Loose dogs, chickens and pigs also love to wander anywhere they please. When you approach them take special care. The USD dollar replaced the NAF guilder and became the official currency of Bonaire in 2011. There are numerous ATM machines available throughout the island and none of them charge any withdrawal fees, but your bank may. Banks are opened every day during the week. Inquire about their hours through your hotel or resort front desk or simply check online. Credit cards are accepted practically anywhere in Bonaire; however, a few stores will not accept American Express. All prices are in US dollars and many of them are slightly higher than those at home. Most hotels and resorts charge 10%-15% service charge on top of their invoices. Carefully inspect all the charges and if the service charge was not added total it to the final price. Restaurants, cafes and other dining establishments expect to receive tips anywhere from 10%-15% as well, and if it is not included in the final bill, be generous and acknowledge the staff by leaving the tips. If your server went above and beyond and made your dining experience extra special, leave an extra tip specifically for them. It is common to tip bartenders as well on Bonaire vacation. If you are not sure how much to leave, aim for 10% of the total price of your beverage, they will thank you. Maids generally receive $1-$5 per day, and it can be left on the bed or a dresser with a note. Bag handlers get paid $1 per each suitcase they help you carry. It is customary to leave 10% for the taxi drivers and bus operators. If a taxi driver went out of his way to serve you as a tour guide and helped you lift your luggage, a tip of 15%-20% of the total price is considered appropriate. If you are going on Bonaire vacation, chances are very high that you are going there for diving. Leaving a tip for the dive team of instructors is customary as well. Some tourists tipped 10% of the total cost of the adventure, some left $5 per tank per each diver. This is totally up to your discretion, choose the method of payment that you are more comfortable with. Bonaire is a very relaxing island, and very seldom you will see beach vendors hassling you to buy their merchandise. If you do get approached by someone and you are not interested in purchasing, simply let them you won't be buying anything. Citizens of Bonaire do rely on the local tourism industry; however, they will never irritate you or force you to buy any of their products. Do not be alarmed if one of them starts a conversation with you. It is a gesture of friendliness and respect to exchange a word or two. Vendors renting out windsurfing and other water sport equipment are always ready to help if you want to spend your afternoon hours snorkeling, diving or kayaking. Simply let them know what activity you would like to engage in and be on your way to having fun. Street vendors are always happy to offer your their handmade goods, souvenirs and art work. So if you are looking to bring something back home, do not hesitate, ask for assistance in helping you select the best gift. Bonaire is a very safe and well guarded island, which makes Bonaire vacation even more enjoyable. Crime rarely occurs, and if it does it is mostly petty or property theft. However, there are a lot a tourist can do to reduce chances of becoming a target of crime. All of your personal belongings should be left either at home or locked in a hotel safe. Take with you only the most needed items such as camera, water bottle, sunscreen, sunhat and some cash. Do not travel around with expensive electronics, clothing or jewellery items, these might and will draw unnecessary attention, which you certainly want to avoid during your relaxing Bonaire vacation. Although travelling elsewhere outside of the resort is pretty safe, try to be accompanied by a friend or another tourist especially in the dark hours. Do not leave any valuables unattended on the beach, in a hotel room, on the porch or a balcony of your lodging or in the car. And always roll up the car windows whether you are driving or stopping for a quick lunch. There are also two marine inhabitants that can be dangerous if approached. Fire corals can be identified by their orange colour and should be avoided at all costs. If you accidentally brushed against one, carefully inspect the infected area, rinse it with vinegar and slowly pull out the stingers. Spined sea urchins can be found in shallow waters of Bonaire, and should be avoided for the same reason as the fire corals. Their sharp stingers can get embedded in your skin and it can get quite painful to take them out. Tap water in Bonaire is absolutely safe to drink. The seawater goes through a special filtration system that makes it distilled, purified and very tasty. You should not be concerned about drinking water during Bonaire vacation. In fact, to keep yourself hydrated, please use your own reusable water bottle and fill it up with tap water each time you are planning to be away from the hotel for long periods of time. Most people who travelled to Bonaire have never experienced any kind of sickness from drinking the local tap water; however, if your body is not immune to different climates, water and food opt our for bottled water that is available in most local stores and cafes. Electrical sockets in Bonaire, normally supply electricity of 110-120 volts with 50 cycles. If you are coming from the United States or Canada, you will have no problem using your appliances and devices during Bonaire vacation. Visitors from Europe will require transformers/converters/adaptors in order to use their appliances safely.